Adam is a fairly conventional romantic dramedy, albeit one with a slight twist. 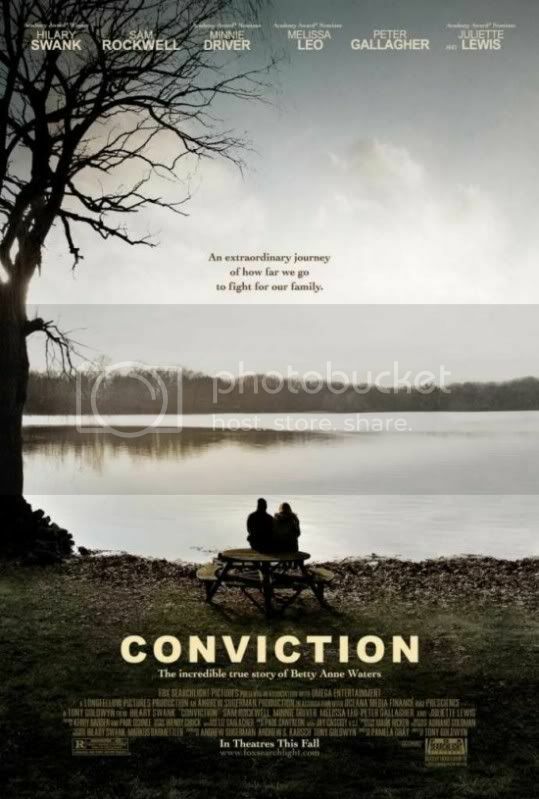 The poster proclaims that it is a story about two strangers, one a little stranger than the other. This may be true, as the titular Adam (Hugh Dancy) has been diagnosed with Asperger’s syndrome (a label that may soon no longer be diagnosed, as it will perhaps be described as simply autism, albeit high functioning). And while this small twist does make for a slightly elevated telling of a conventional romantic drama, it isn’t enough to make the film entirely memorable. At the beginning of the film Adam loses his dad, though he doesn’t react as most NT’s (neuro-typicals) might in the same situation. He doesn’t cry, doesn’t emote at all. He simply goes home and continues his life, going to work at a toy company where he is able to practice his electronic engineering skills in relative isolation. 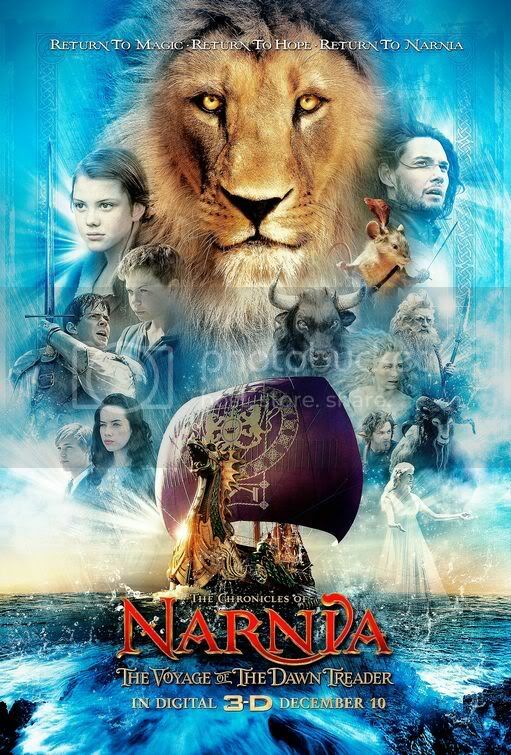 This entry was posted in 2 pirate flags, 2.5 stars, 2009, A, Movie Reviews, Pirate Flag Rating, Star Rating, Year on February 20, 2011 by Tim Irwin. 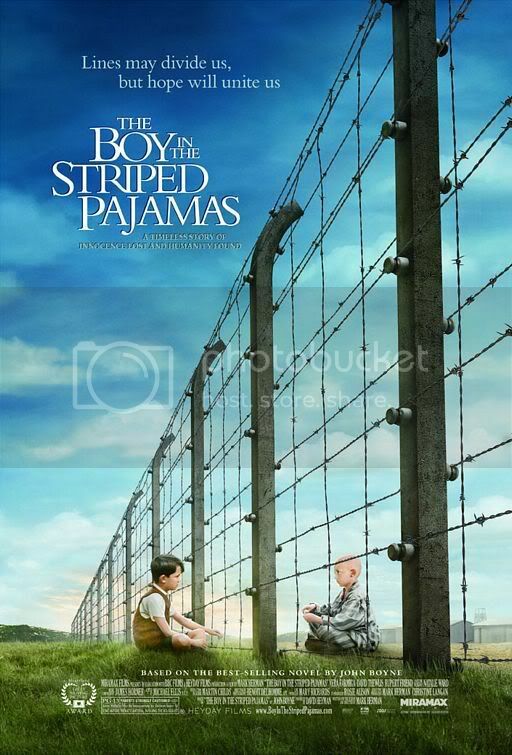 The Boy in the Striped Pajamas has an immediate obstacle to overcome. While it might not have been practical to film in German, many other World War II films have at least attempted German accents. Judgment at Nuremberg even utilizes an effective technique to allow characters to speak in English and the audience to believe they’re speaking German. Here there is not even an attempt; all the Germans speak British English, very properly. This is a small complaint, but one that taints the entire film. At the beginning it is difficult to tell if this is London or Berlin, with small children running around the streets, and fancy state dinners replete with silver and china. But then the father of the primary family announces a transfer to another post, in the country, and it becomes clear that this is the German side of the war. This entry was posted in 2 pirate flags, 2 stars, B, Movie Reviews, Pirate Flag Rating, Star Rating on January 27, 2011 by Tim Irwin. 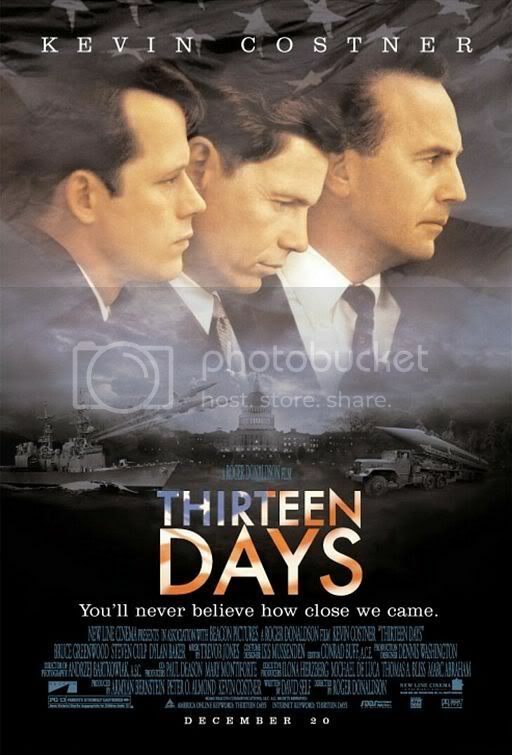 It is a pity that Thirteen Days is not a better film, for the subject matter is exceedingly fascinating. It is based on the true story of how the White House had to deal with a threat closer and more dangerous than any they had experienced before, but some of the technical aspects of the production bog down the story and prevent the film from having the power that it should. Some of the intensity of the situation and the enormous impact the players’ decisions had is worthy of a better treatment than afforded here. Kenny O’Donnell (Kevin Costner) is the President’s top aide in 1962. 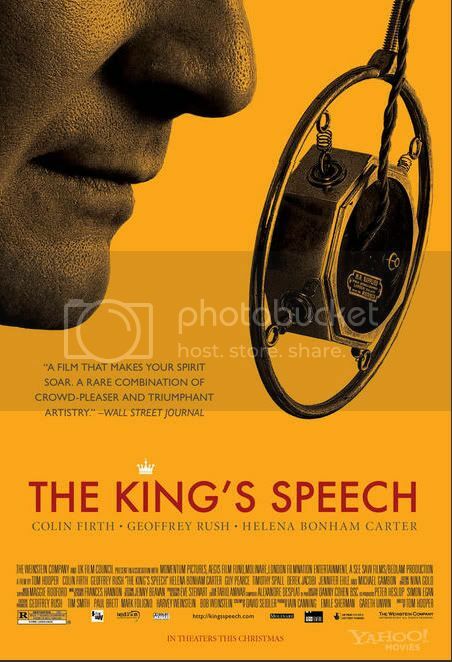 John F. Kennedy (Bruce Greenwood) is in the White House, and Kenny and his brother Bobby (Steven Culp) are his most trusted advisers. It is the height of the Cold War, and direct conflict with Russia is a constant worry. Then a U2 pilot makes a run of the recently Communist Cuba and discovers something frightening: missile silos that ought not be there. This entry was posted in 2 pirate flags, 2.5 stars, Movie Reviews, Pirate Flag Rating, Star Rating, T on August 14, 2010 by Tim Irwin. 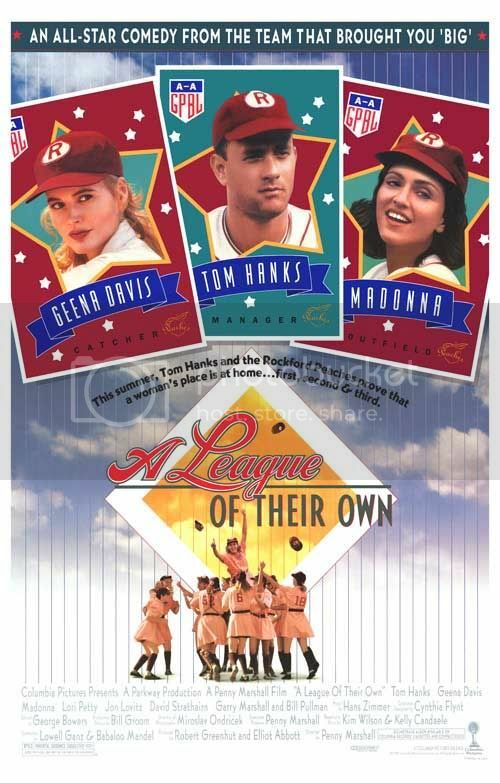 A League of Their Own is a nice movie, a pleasant movie, a Hollywood movie. It doesn’t take risks, doesn’t alienate its audience, and doesn’t provide any controversial material. 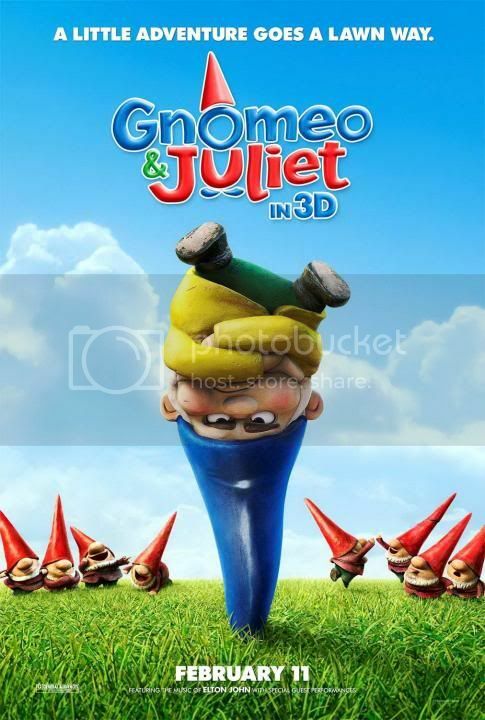 It tells a simple tale with some obvious themes, and it does it perfectly well. This is why the film has achieved a certain status as a fan favorite. The story is based on real-life occurrences during World War II. Most of the athletic young men were away at war, leaving professional baseball devastated. Walter Harvey (Garry Marshall, director Penny Marshall’s brother) is a candy man, well known for his Harvey Bars. He’s a bit of a showman as well, eager to lure crowds back to once-packed baseball stadiums. His hope is that a new league, one filled with attractive dames, will woo a war-weary audience back into the seats. This entry was posted in 2 pirate flags, 3 stars, L, Movie Reviews, Pirate Flag Rating, Star Rating on July 7, 2010 by Tim Irwin. 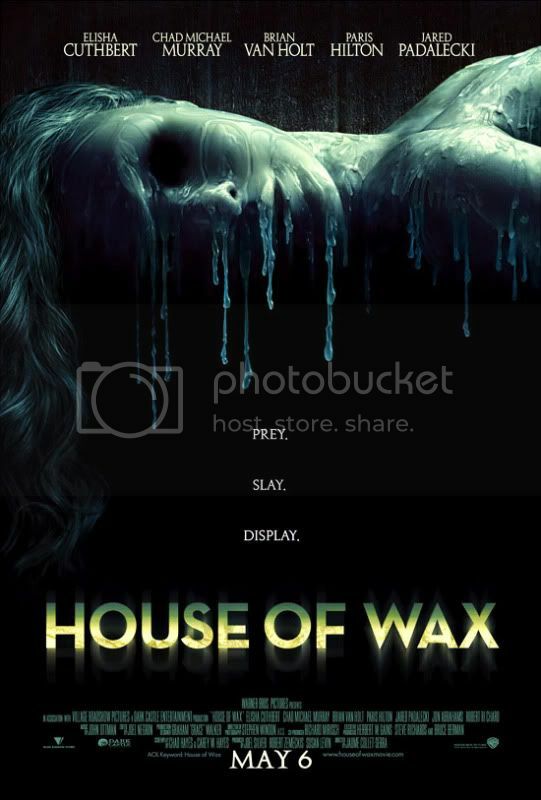 The 2005 remake of House of Wax is a singular brand of generic film. It was made, and exists, only to be seen briefly when released and then forgotten. No effort was made, and most likely not intended, to ensure the film would stand the test of time. The film does everything it needs to do to cover all its bases, with the aim of a quick, short, and hopefully profitable run at the box office (though the $30-$40 million budget would belie any intention of a quick turnaround). All this being said, House of Wax isn’t actually a terrible horror movie. It is a terrible film, but not actually a terrible horror movie. There are some major problems with the film, but it does a number of things perfectly adequately and actually manages to roll a story up into a neat but shallow package without resorting to too many cheap tricks. And it does feature Paris Hilton, in a role crafted to take advantage of her image in 2005. This entry was posted in 2 pirate flags, 2 stars, H, Movie Reviews, Pirate Flag Rating, Star Rating on June 10, 2010 by Tim Irwin.